Hilary Devey is a businesswoman, TV personality and entrepreneur from the UK best known for her role on BBC’s Dragons’ Den with Peter Jones. Hilary continues grow her personal brand by speaking at high profile events around the world and carrying on with her TV work by presenting shows like Channel 4’s The Intern. Devey was raised in Bolton, England and at the young age of seven saw the unfortunate bankruptcy of her father when his central heating company went under. This difficult time involved bailiffs taking furniture and appliances from their family home. After this, Devey’s father made ends meet by managing public houses, inns and hotels. After leaving school at sixteen, Devey briefly served in the Women’s Royal Air Force before leaving and moving to London. Devey then went on to gain experience in the distribution sector working for Littlewoods, Tibbett and Britten and the United Carrier Network. She then progressed to work at TNT in the retail distribution sector before she decided to leave and set up her own business. Hilary Devey’s estimated net worth is $75 Million. Through her expanding experience and increasing knowledge, Hilary Devey realised that it was a challenge to transport small consignments of palletised freight at a low price and at a fast pace. She felt that if this situation was tackled immediately it would be a profitable and revolutionary venture within the distribution industry. Devey was faced with large obstacles and seemingly insurmountable odds when it came to getting started. The banks refused to help fund her proposed venture and the only way she could finance the start up of the company was to sell her house and her car. Devey maintained incredible belief and determination whilst facing these obstacles head on. The situation was made even more impressive by the fact that she was a single mother at the time. It would have been easy to give up, and I am sure that many would have but Devey pressed on. In the company’s first year, at Christmas time, she was forced to forfeit her own wage in favour of her staff and she couldn’t even afford a Christmas dinner for her and her son. It was very clear that success was Devey’s only option as she faced obstacle after obstacle and she overcame all of them. It took several months and many knock backs for Devey to secure her first premises and in the late part of 1996, Pall-Ex was born. On the first night of business the new company only distributed 117 pallets which is very different when compared with the ten thousand pallets that are now distributed by Pall-Ex every single night. 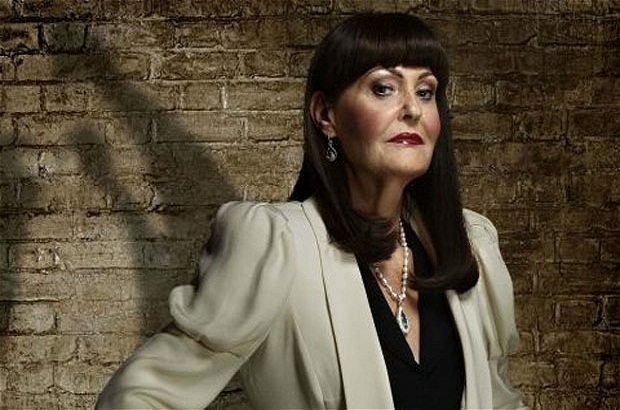 Today, Hilary Devey is an inspirational role model to both male and female entrepreneurs. After starting from absolutely nothing, she now is the CEO of the largest palletised freight distribution network in the UK; boasting a turnover in excess of $100 Million and serving multiple blue chip customers. Pall-Ex delivers to 38 Countries in Europe and serves every single post code in the United Kingdom. It is no exaggeration to say that Hilary Devey and Pall-Ex revolutionised the distribution industry and they have never followed the crowd, maintaining a focus on innovation. Devey has featured on several TV pprogrammesin the UK, starting with ‘The Secret Millioanire’ in 2008 where she donated $100,000 to The Back Door Music Project and The Syke Community Centre in Rochdale. In the Spring of 2010 Devey became the presenter of The Business Inspector for Channel 5 in the UK. In The Business Inspector, Devey used her experience and expertise to transform struggling businesses so they could operate successfully and turn a profit. In early 2011 Devey joined the panel of the BBC 2 programme Dragons’ Den, a show that allows budding entrepreneurs to present their business ideas to the panel of wealthy investors. The contestants pitch for financial investment, giving a stake in their company in return. After a successful run on the programme, Devey announced that she would be leaving Dragons’ Den and signing a contract to appear exclusively on Channel 4. Hilary Devey’s story of overcoming obstacles to become successful is as filled with determination and persistence as any entrepreneurial journey you’re likely to read. Her ability to keep going in the face of adversity and repeated knock backs is inspiring. Ask yourself what you could achieve if you didn’t take ‘no’ for an answer and literally kept going until you were successful. This is what the remarkable Hilary Devey did and it was the primary ingredient for her success. An amazing woman with a phenomenal story that teaches us to maintain a success driven focus even when things get extremely tough.